Sprint from a position of stay-at-home audiophile to a status of hero at decks, attracting attention of nightclubbers, took only a few months for Etapp Kyle. Enlisting friends’ support and interest from Russia’s legendary techno club ARMA17, the artist made his first appearance in Moscow a couple of years ago. Now it’s clear that he did it right – subsequent visits to Moscow gave no reasons for doubts about his competence, but also showed how rapidly the young resident of Western Ukraine was developing. Today Etapp Kyle is on threshold of a new period of creative activity in a company of notable players of global techno scene. Results of his studio work receive serious interest from truly remarkable labels. Thus, in 2013 his debut 4 track vinyl gets released by the famous Klockworks by Ben Klock. 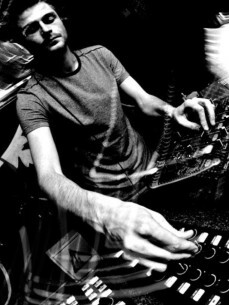 His music receives strong support from the most important players of the scene, channeled through soundsystems of techno festivals worldwide. Performing in front of a dancefloor the most sophisticated combinations, he invites to check the depths of a piercing cold canyon, then fleetingly carrying to a textural and almost tangible landscape of a forest at night, with its inherent softness and smooth motion of warm air. Love to dynamic, dark sound finds its expression in mixing with soft melodies, and powerful groove in his music competes with transparent, disembodied imprints of illusory atmosphere.